Healthy Seas have great reason to celebrate! We have reached an important milestone in our successful pilot project in the North Sea region. More than 20 tons of discarded fishing nets have been brought in so far. This success gives us all reasons and confidence to move forward with our new pilots in the Adriatic and the Mediterranean Sea. In the initial phase the Healthy Seas initiative focused on activities in the North Sea pilot region (Netherlands and Belgium). 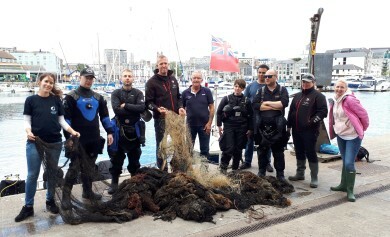 Dive groups have been active this summer, regularly bringing their recovered waste fishing nets to the Healthy Seas reception and collection facility in Scheveningen. 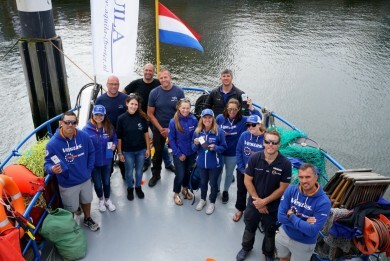 Last weekend, the final mission of the season took place in Dutch waters, executed by the Dutch salvage company PAN Salvage, four divers, photographers and an archaeologist. 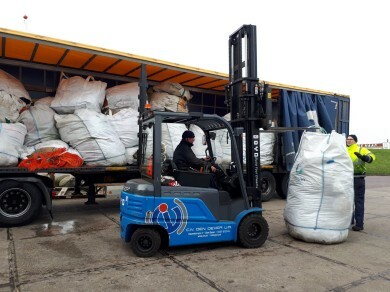 The recovered nets are stored in the Healthy Seas depot in Scheveningen harbor, in the Netherlands. On the 24th of September, the nets will be transported to Slovenia, where they will be regenerated into ECONYL® yarn. 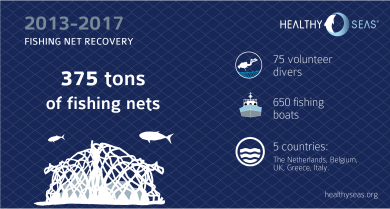 Here’s our big thank you to all helping hands and to Nofir, Healthy Seas’ new Associate Partner who will take care of transporting the nets to the regeneration plant. Visit the Healthy Seas Facebook page to watch last weekend’s photo gallery. 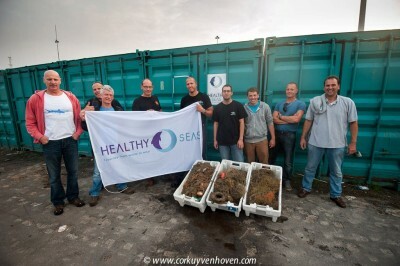 Share the post "Healthy Seas is pulling in the nets: successful pilot yields 20 tons"